Pantene Aqua Light Shampoo and conditioner - Fresh, clean, and light for weightless care. Silicone-free shampoo and water-soluble conditioner rinse clean in seconds with no heavy buildup. Leaves hair refreshed and light, for a flawless clean. I generally tend to avoid silicone-based shampoos and conditioners because a lot of them irritate my scalp. Pantene's Lively Clean shampoo is one of my favorites, though, for leaving my hair shiny and healthy, so when I saw travel sizes of the Pantene Aqua Light range at Target, I decided to give it a try. The Aqua Light range features silicone-free shampoo and easy-to-wash off conditioner that leaves hair clean without any residue. I used a forest green gel liner as a base all over my lids. Used a dark brown pencil close to the lash lines and on the waterline. Used a darker brown shadow all over the lid and patted a teal shadow in the inner half to give it a greenish sheen. Used the lighter beige shade to blend near the crease and finished with my favorite black mascara. I should have paired it with a coral lip but went a beige route with Maybelline My Mahogany topped with Chanel Sweet Beige. So, what did you try out makeup-wise this week? The newly reformulated eye shadows from Urban Decay feature soft velvety texture, decadent color, uniform pigment distribution and blendability, and long-lasting crease-free wear. This is my final installation of the swatches from this collection - this time it's the blues, greens, and a couple of grey-blacks. Fun fact: Packaging of the new shadows was inspired by NYC subway tokens; the chromed gunmetal compact with a clear window allows you to see your shade and pop your shadows out and into one of the new customizable palettes. Available in 68 captivating shades, Maybelline Color Sensational lipsticks are some of the best drugstore lipsticks. 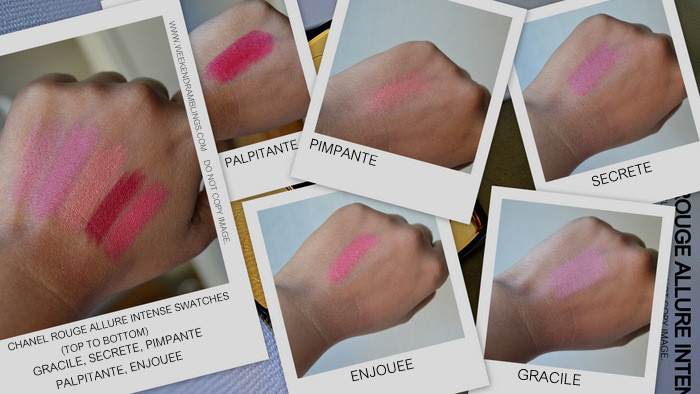 I have been trying out a couple of shades from this range - most of them plum/pink - and so far, they have all delivered in terms of pigmentation and creamy texture. 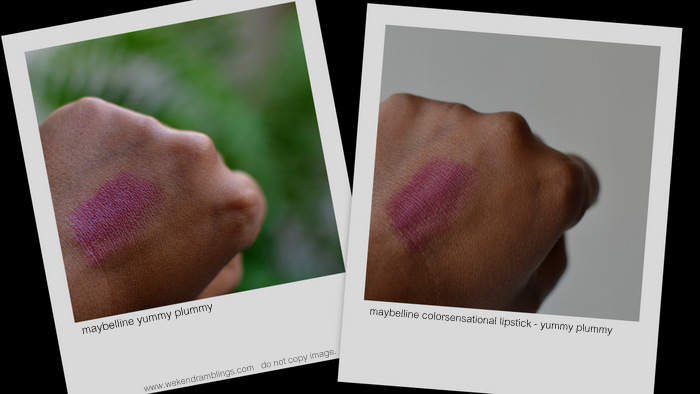 The shade I am reviewing today is Maybelline Color Sensational lipstick in Yummy Plummy - a creamy plum shade with absolutely no shimmer in it. 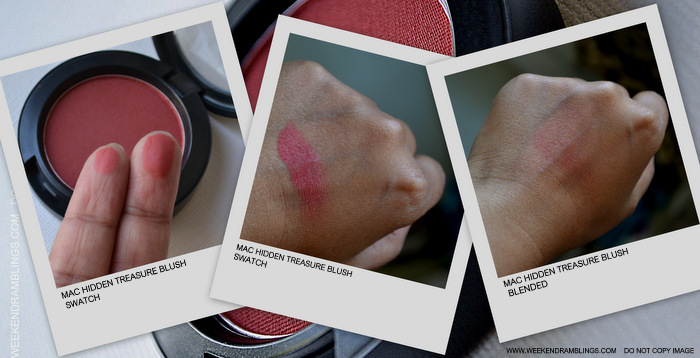 Read on for photos and swatches. This lipstick is a brownish plum in the tube, though for some reason my skin swatches all seem more bright. On my lips, this is the perfect neutral mauve, the hint of brown keeping it from getting too bright. Much as I love the occasional bright lip, it's always these soft neutral shades that I reach for the most, and I am so glad I found this neutral plum. As with all Maybelline Color Sensational lipsticks, this too has a toffee-caramel fragrance to it (which just makes it all the more yummy), and the texture is smooth and nondrying.